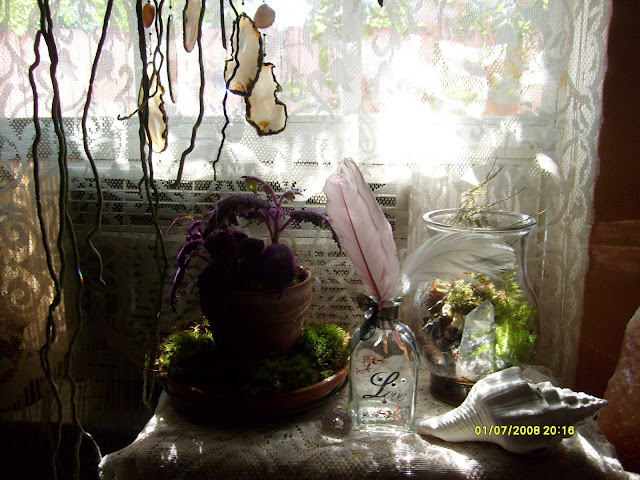 Fairy Cottage and Garden..... Re- Enchanted Life of a Domestic Mystic: Pictures for Pammie ! 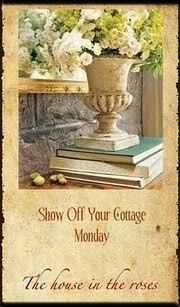 I am linking up here with A House In The Roses for her ''SHOW OFF YOUR COTTAGE MONDAY''. 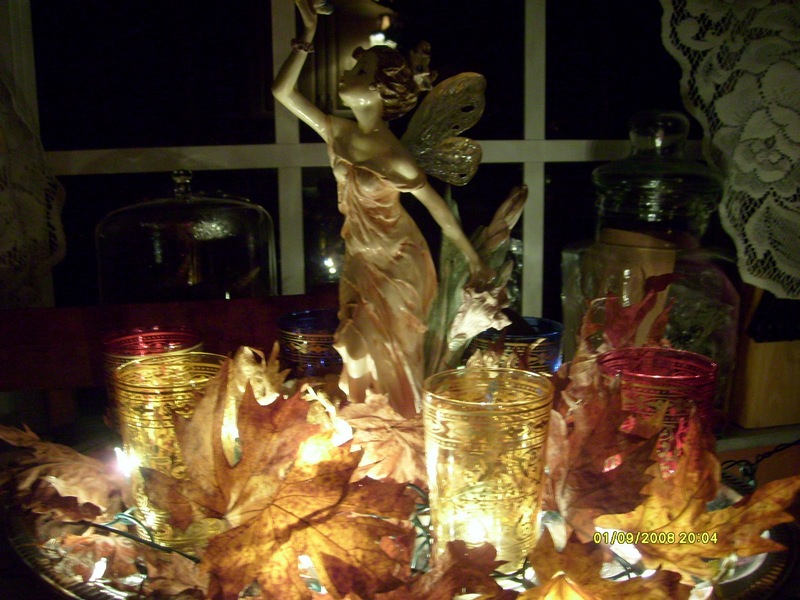 These little fairy lights I had taken down when the crystal chandelier went up, but I missed them and the Fairy so much, especially the glowing amber grapes leaves I've been collecting from the garden....so she and the leaves went back. Even John said he preferred her there ! She is magical and will stay. A part of the window in the computer/guest room. 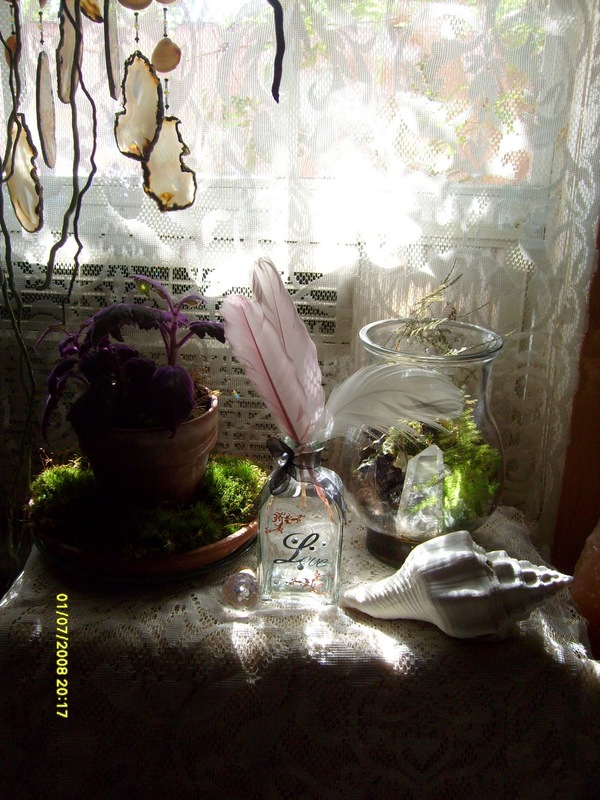 The seashell chimes are showing here with the agate slices as the musical generators. It is a beautiful sound! They tinkle ! 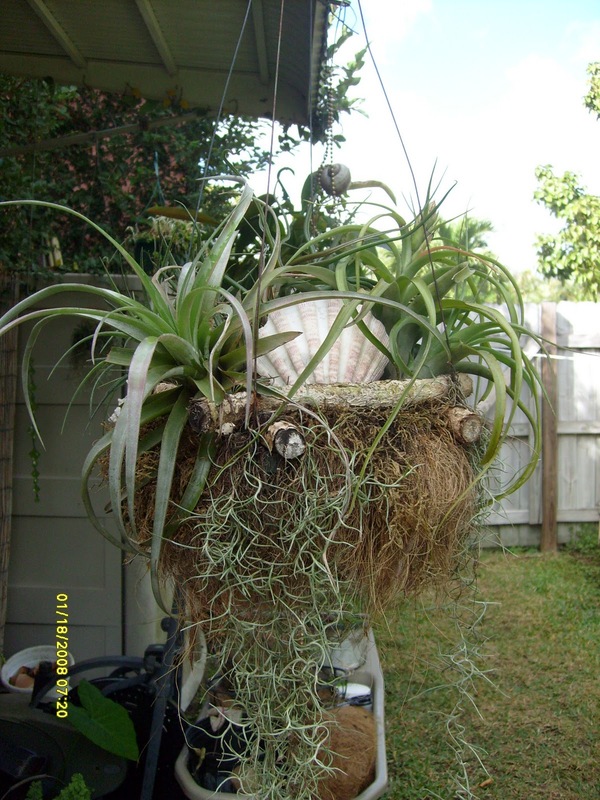 Also you can see the roots to a huge vanda orchid but the flower is up higher, not visible. 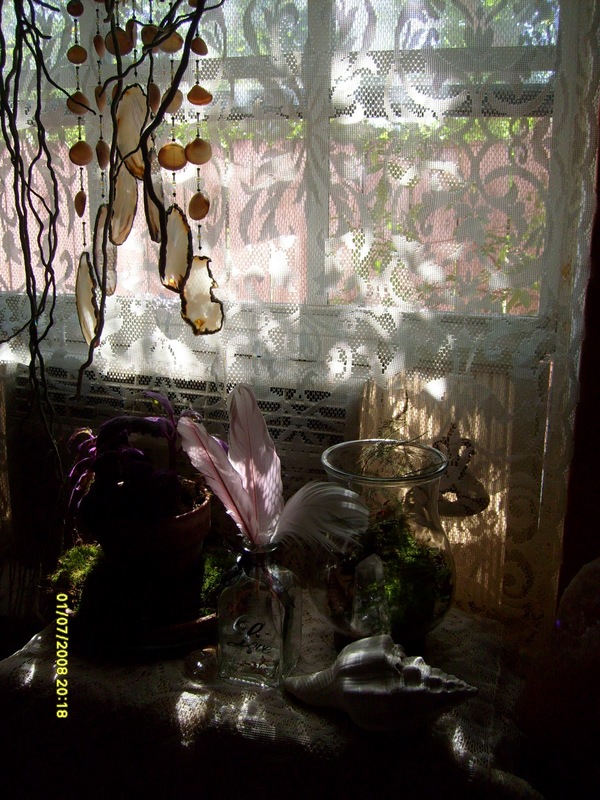 Every single day I just love how the morning sun filters through these lace curtains, onto the vignet I have on top of the now covered printer LOL with the pink and white feathers I collected myself, and sea shells, the glass sparkles, and the purple vine plant gets the light it loves, and the green moss stays so greeeennn!! The vignet just below the previous window. 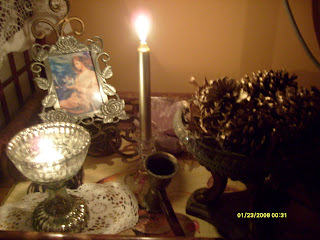 I lit a golden candle one night, and just took a picture without flash. It was so enchanting. 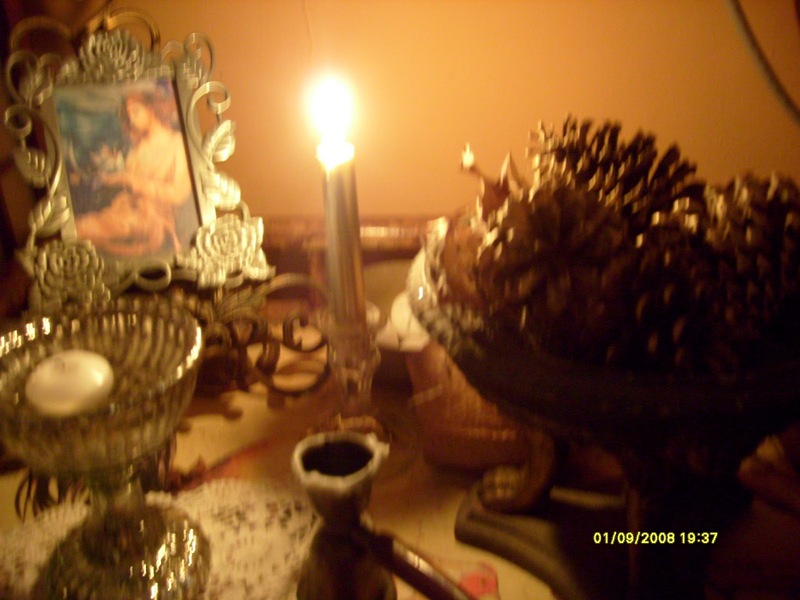 The pine cones there are ones I collected from a rare pine tree here when I go for my walks. They opened up while on my desk and I could hear the sounds it made! I gilded them and gave them some sparkles. There is also a small floating candle in a small mercury glass vase and an antique candle snuffer I got for a present about 20 years ago LOL. I love how these little spots in the house make me feel so cozy! The beauty stops me in my tracks and I am captured in a place I love. 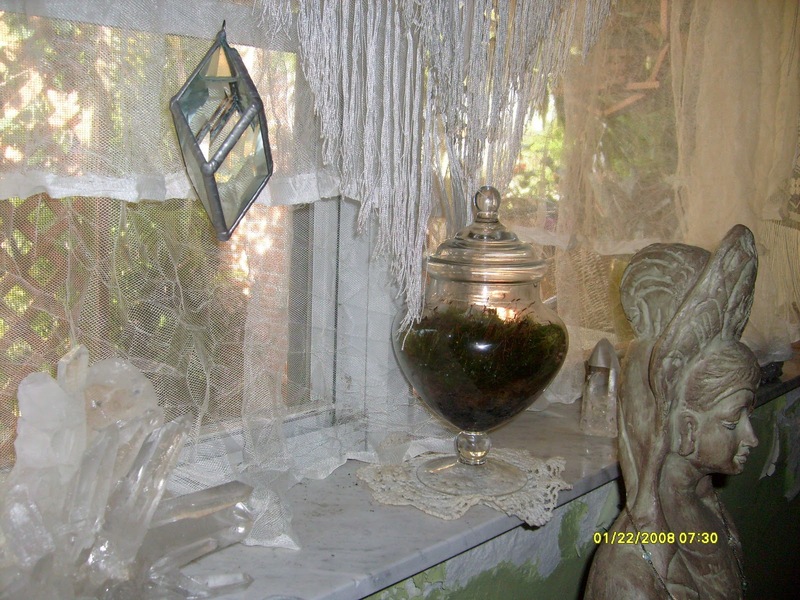 The picture frame is a beautiful pewter frame I have for many years now, but never a picture for it. A few years ago I got a Christmas gift wrapped with the most beautiful paper with angels on it.....this is one of the angels....lol....I cut it out of the wrapping paper and framed it. I love angels. Picture is blurry but the essence is there. Another day with fresh candle. The floating one is lit here. 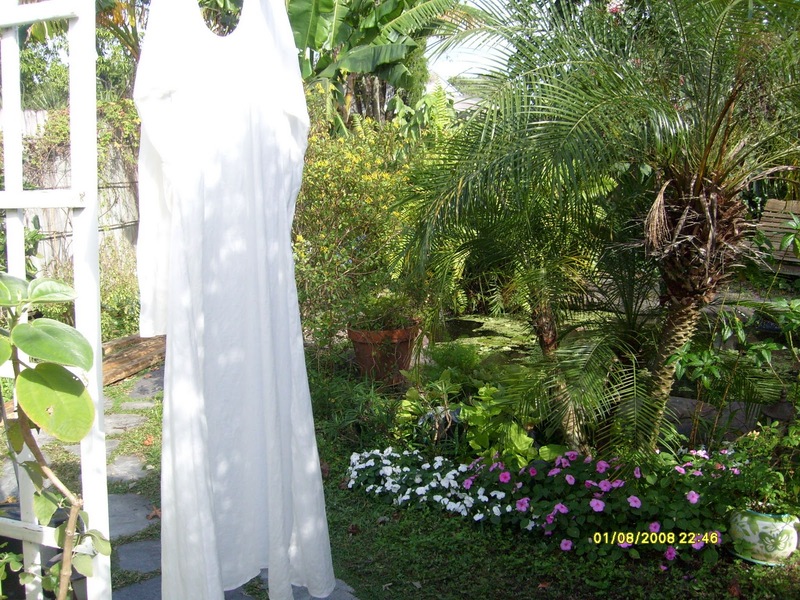 My linen chemise dried and hanging with a beautiful ruffly hand painted silk wrap made by my friend Tabitha. A crochet tablecloth I recently bought from ebay and which was hanging on a line outside. 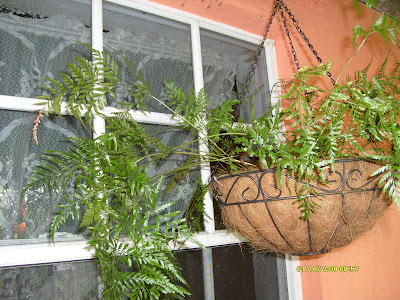 I just took it out of the gentle sun shower we got this morning and put it up on the screen. 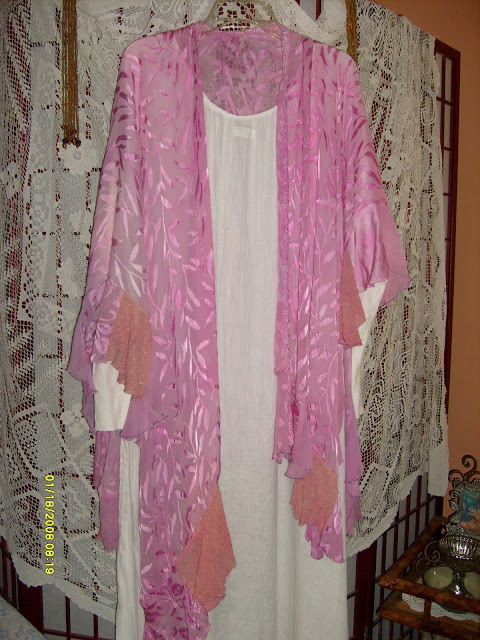 I love lace so much and don't want them folded away and hidden. 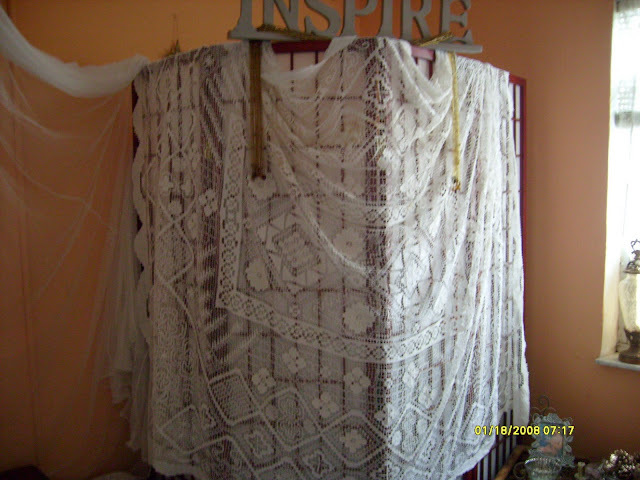 There is always something that can use some lace !! 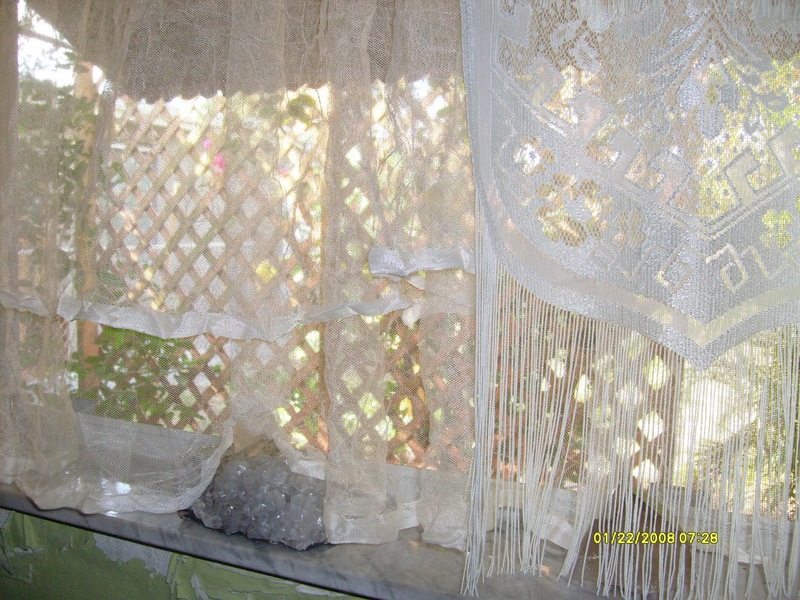 I love my bedroom window now that I added some dreamy whites. I had a sheer crushed tolle fabric on it that was pure ethereal! 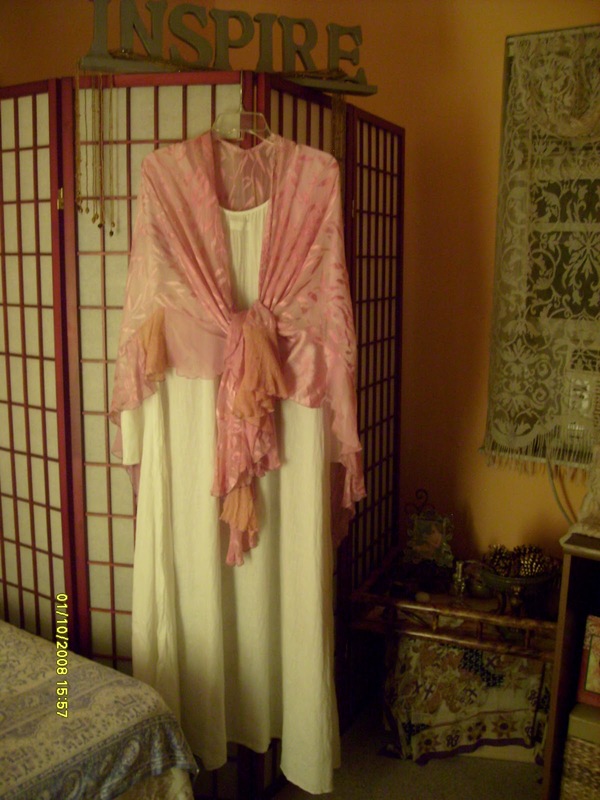 Then I added the white fringed burn out shawl I bought in New Mexico years ago. Today I added two long fringed runners on each end of the shawl. There is hanging from the swirly hook a prism that is filled with water that generates rainbow colors in the afternoon sun. 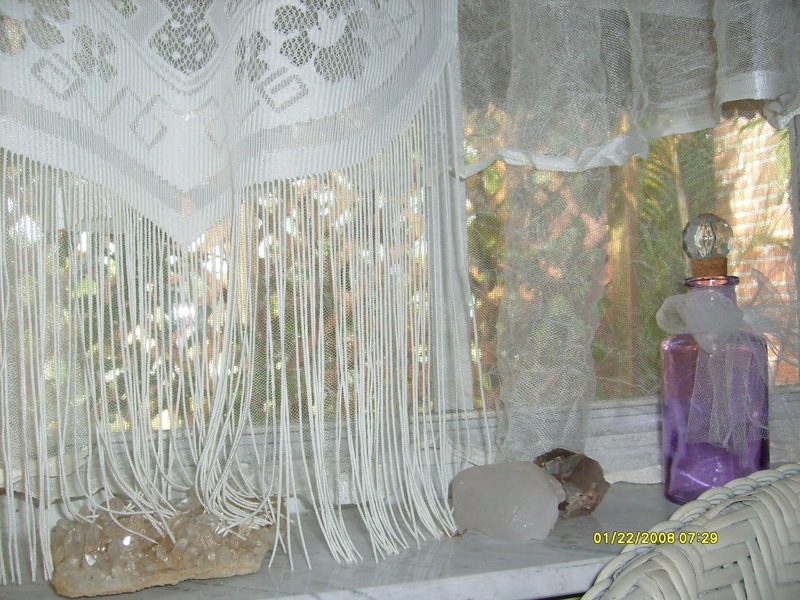 The quartz crystals I've collected line the window sill....it looks magical as it is all clear and shades of transparent to white and frosts! 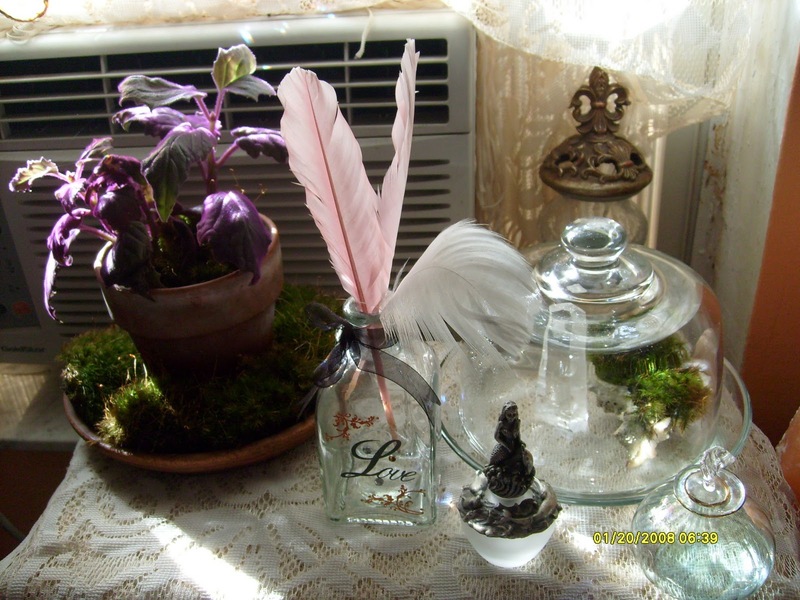 And I love the lavender bottle. In the center is a tiny 6" tall terrarium with clump moss in it. 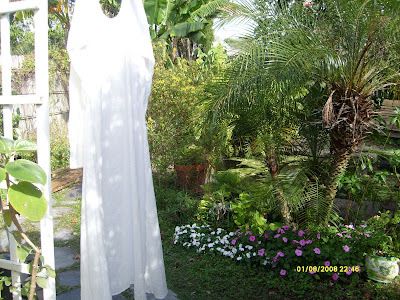 Quan Yin stands guard. I love how it looks. 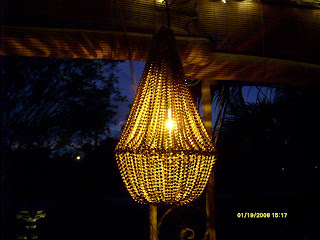 In the middle hanging is a tiny shabby chic candle chandelier lit up and glowing. You can see the sun outside. By 3 or 4 in the afternoon the sun will shine through the lattice and make magic. 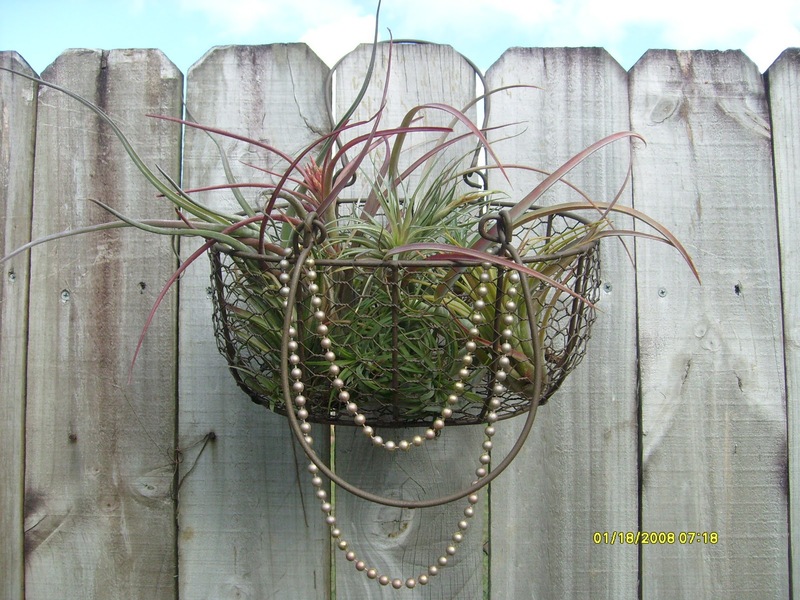 Another basket of Tillandsia's with sea shells and spanish moss. 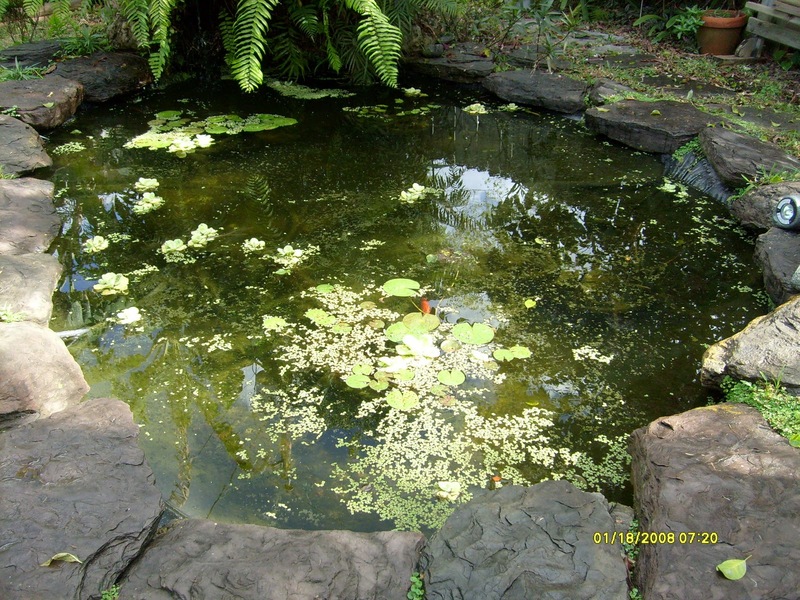 The pond today with one of two goldfish left. I must get some more! I want to see this pond sparkly with golden movement again! I just hope the rascal racoons don't come back for them again!! 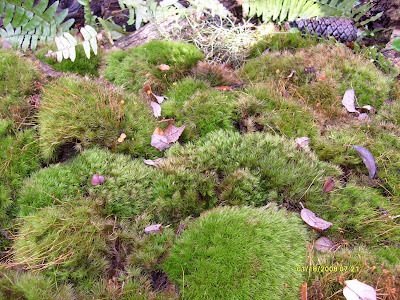 The Woods Garden.....I bought a box of clump moss, my new love! 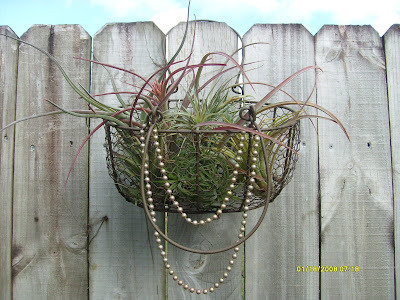 and had it all over the house for Christmas and I loved it! However, I love the moss so much and I wanted it to live a long time so I had to find a place for it. I just happened to have a planting bed with nothing in it that is shaded all day. I put this little Forest Floor together in half an hour! I collected the wood we had lying around and a few shade plants, some ferns of course and all the clump moss and put it in. It looks beautiful and is alot more green than the picture! 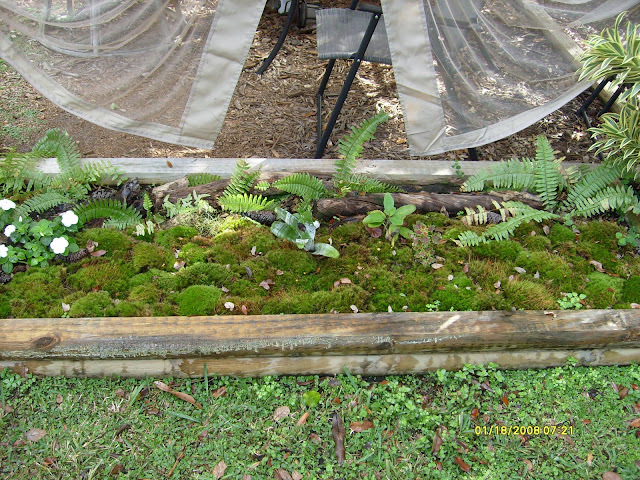 Finally this vacant bed looks magical and the moss is doing great and I have my little piece of the Forest ~! Detail of the ''furry'' moss...with oak leaves fallen from the tree...and pine cones....and fern.......I just love this stuff. 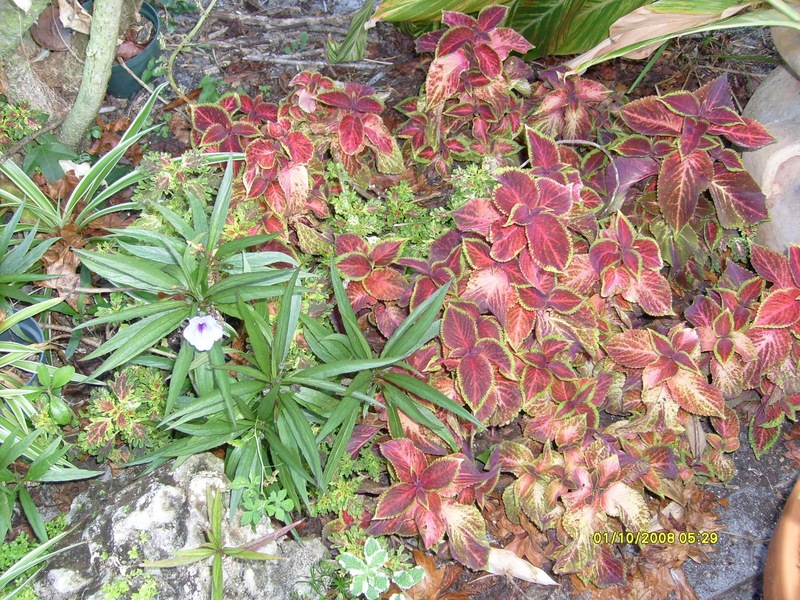 This is a bronze leaf shooting star. It takes over everything too. 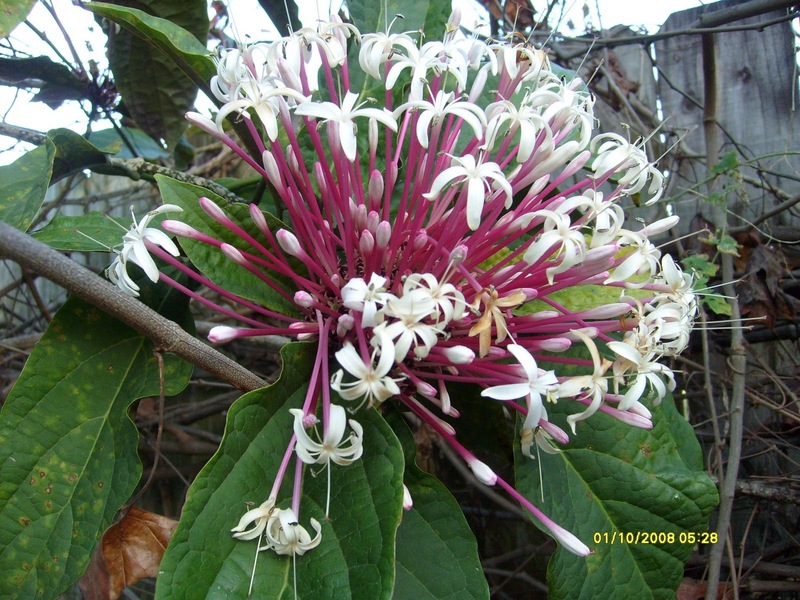 but the flowers are pretty striking! A planter with red leaf lettuce....doing well. My fish tank ? 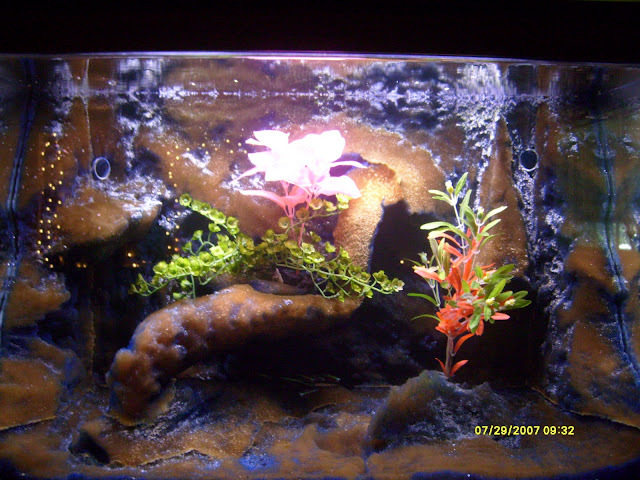 lol....you can barely see the tiny neon fish at the bottom, but in person it looks cool. View from the back door. 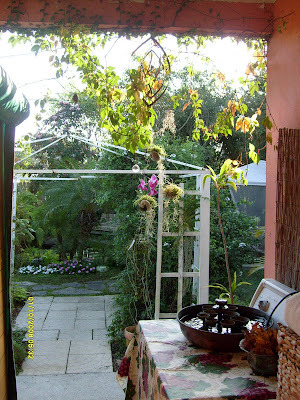 The sun hitting the vines growing on the building, water fountain sits on the dryer, and the arbor, then the netted gazebo towards the back on the right side. John sits there all the time watching the pond. 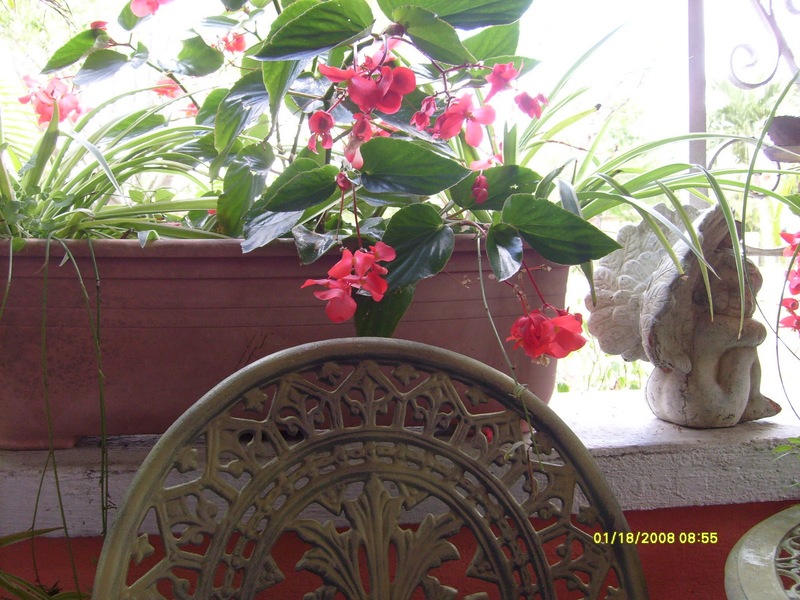 A view of the red begonias in planter boxes on the front porch. They're doing really well. 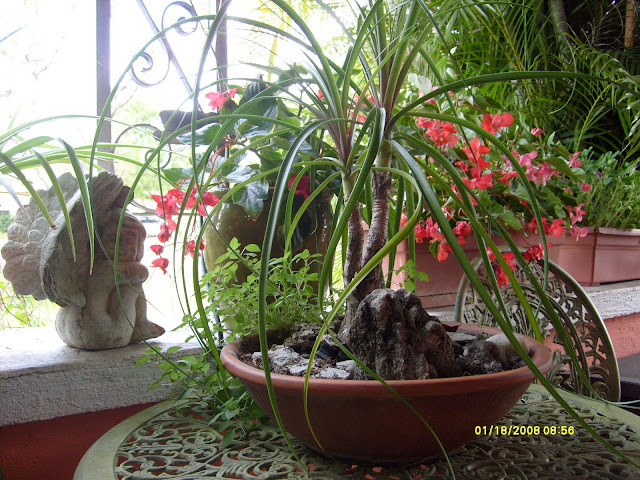 Another view of the same with the angel guarding them, and a pony tail plant with a Japanese landscape on the table. 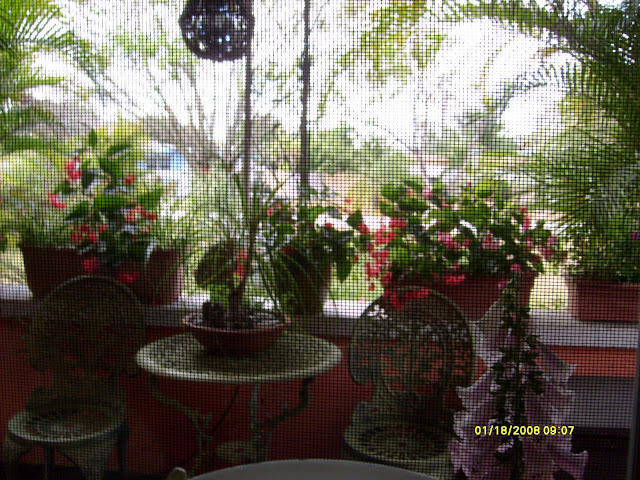 Same begonias view from the inside. The strange texture is the screen in the window which you don't see when you look through it.........but its pretty. 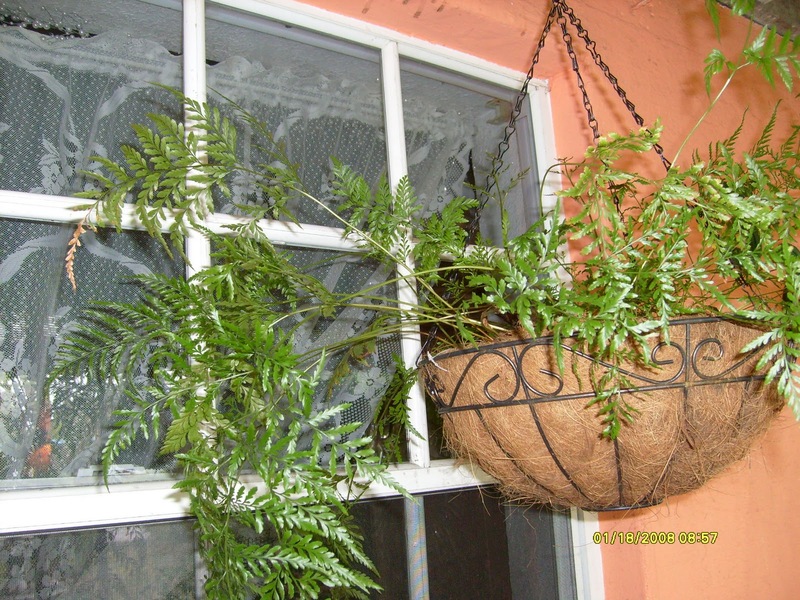 A Bird's Nets fern also doing well, with the creeping fig I planted innocently by the chimney years ago, which is now creeping everywhere including the front porch walls! 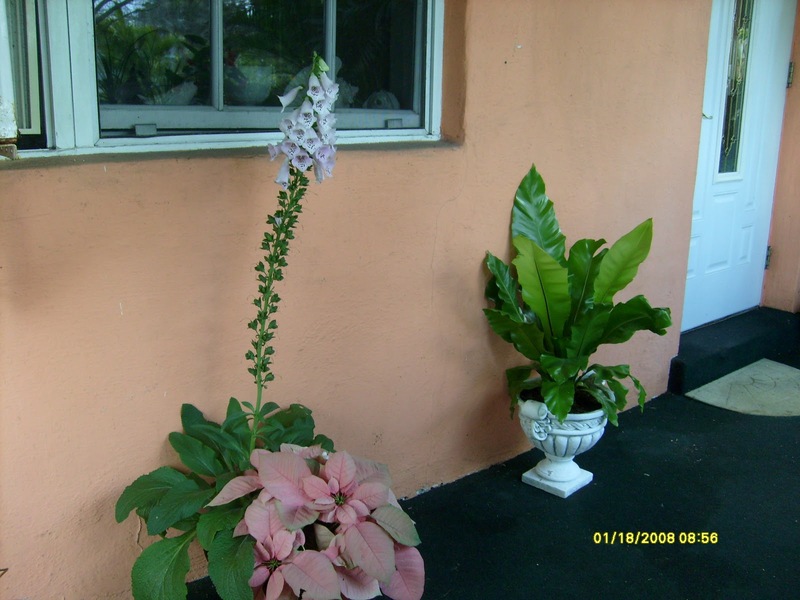 A beautiful pink pointsettia with a foxglove in front of living room window and another Birds Nest in a white urn. You can barely see the seashells that line the windowsill which look so dreamy and beautiful from the inside. The beaded chandelier in the daylight. 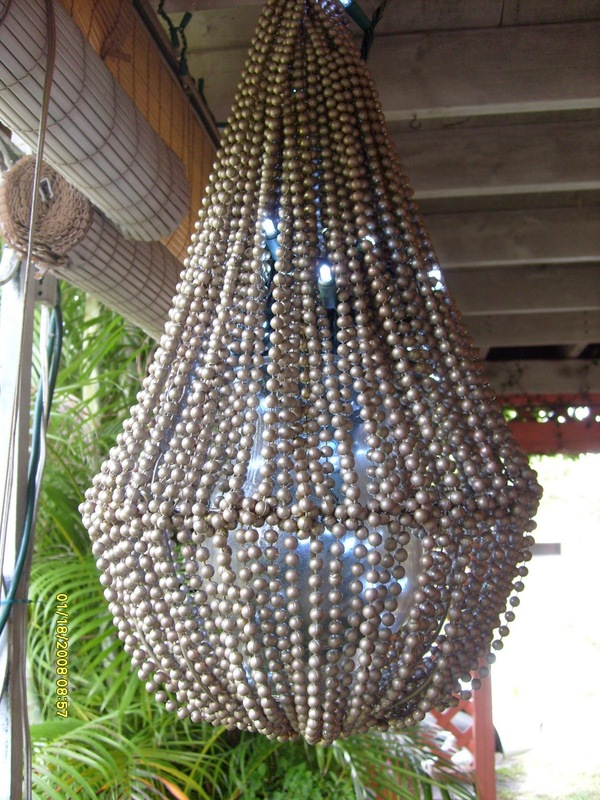 You can barely make out the satin metallic caramel latte color, but I do plan on putting a light bulb in this fixture to make it a working beaded chandelier. Well here is the improved lighting. 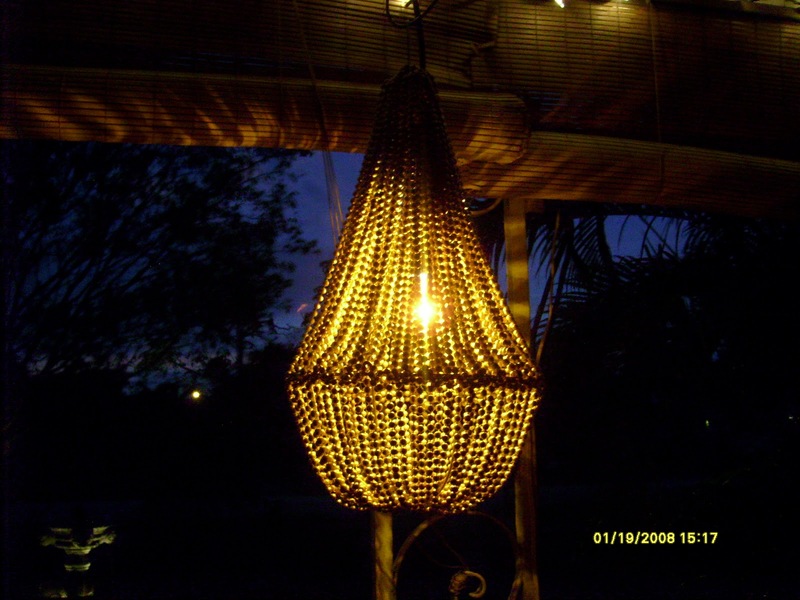 I removed the ''twinkling'' led lights, and replaced it with a bulb socket and an amber colored light. It matches better the other Christmas lights I already have up. The twiliight sky is amazing back there ! that azure blue ! So, there you have it, my beloved Pammie! I hope this was nice for you. I had a little more fun putting this together than I thought I would, especially explaining the pictures which sounds more interesting now that I've described it. I will have more soon. I love you! Very enchanting! 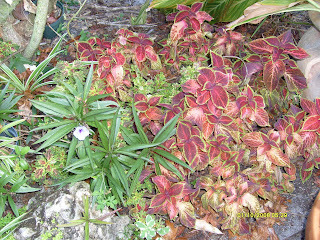 It makes me yearn for the greening of my garden, which know will happen in its own time -- as it always has and ever will. Thanks for visiting over at my blog. 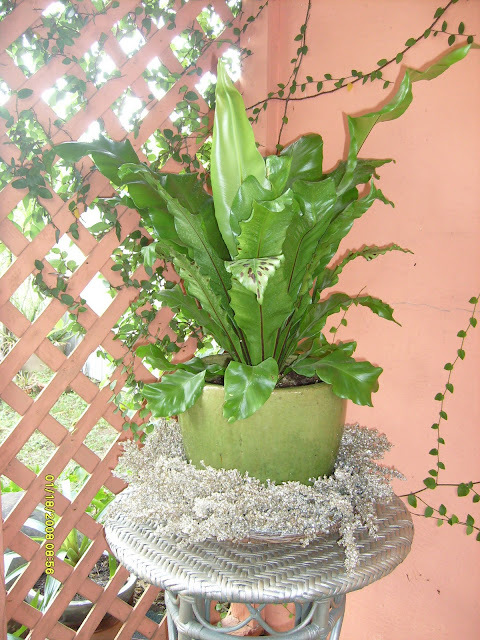 Your home and garden are magical and oh so whimsically fun! Thank you for sharing! oooooooh coming from you Tricia that is saying something ! I wish I had half the magic you have going on in your space! Everything looks absolutely Beautiful and so Serene. 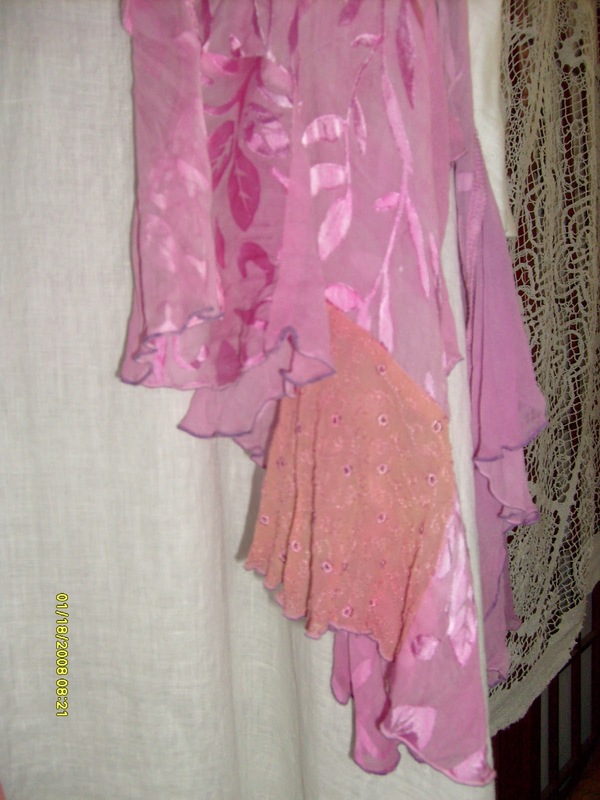 You asked about that gossamer material the tops in my Friend's Shop were made of, it was very Gauze like and is from the Magnolia Pearl Spring Collection, that's all I know about it, I Loved the various shades of the fabric hues in the same Style. Alas, I don't think such delicate fabrics would hold up well for me, so I tend to wear sturdier fabrics, but I sure did think they looked Lovely and made a stunning vignette Photo Op. 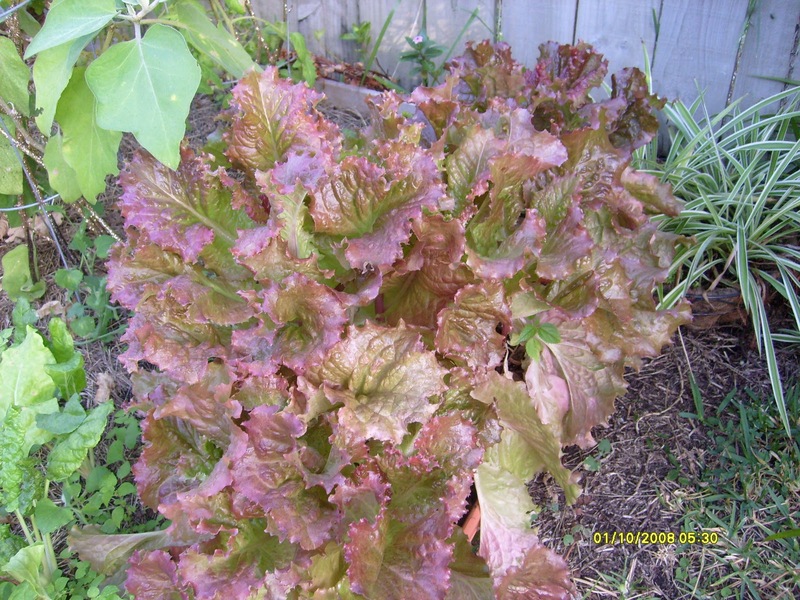 O your garden is so pretty! Making me wish Spring were here! 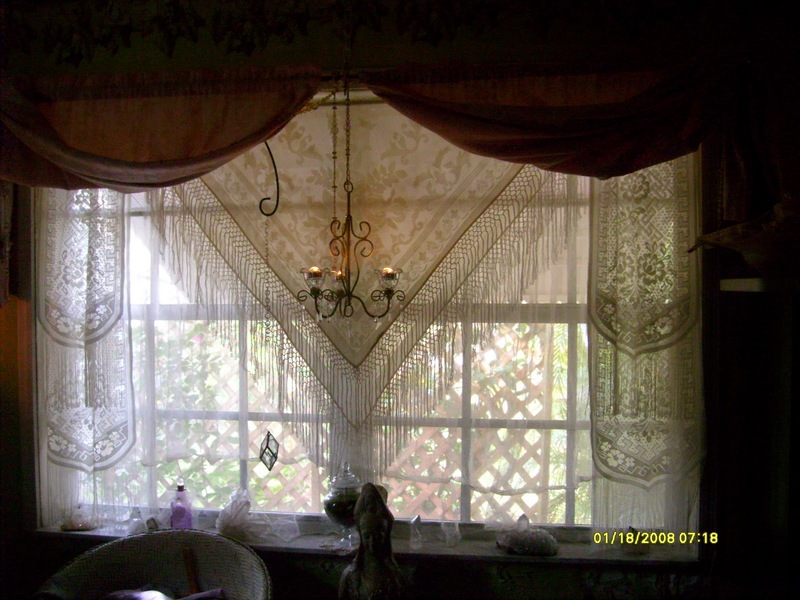 I love all the layering of lace you did to your window! Lovely! My first time here. I came from The House in the Roses. Your blog is absolutely enchanting. I so love the window of lace and really lovely,the vignette with lighted candle and pine candles. Just beautiful. Beautiful home and gardens. yes it is a fairy place. 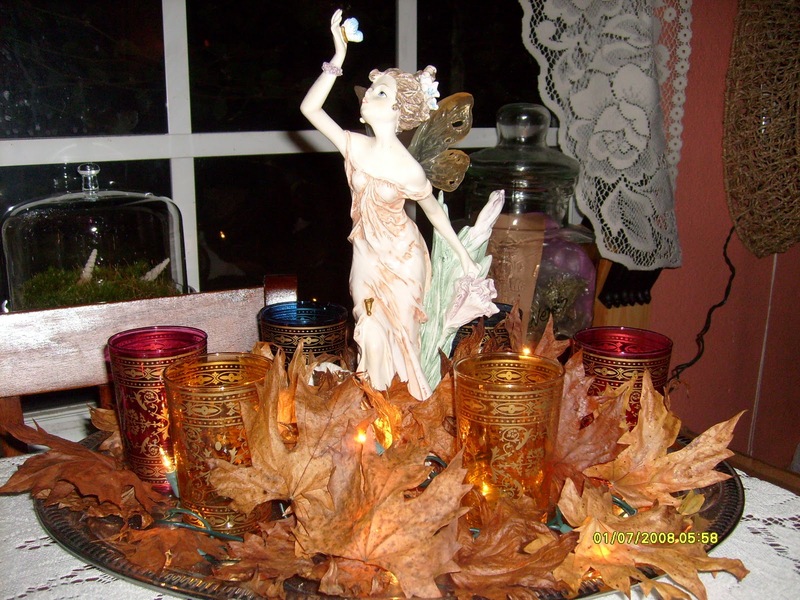 Your home is very enchanting--just lovely!